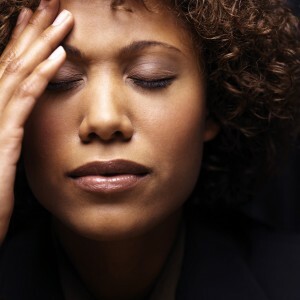 (Chapter 7 & 13) – Filing for bankruptcy can be a difficult and stressful decision to make. C. Rainford Law will assist you with consumer credit related counseling, guide you through the legal proceedings as it relate to filing for Chapter 7 & 13 bankruptcy. Bankruptcy protection will assist with avoiding litigation claims, terminating contractual obligations, and offers relief to explore possible avenues for reorganization. Bankruptcy can be defined as the inability to discharge all your debts as they come due. Bankruptcy is a legal proceeding, guided by federal law, designed to address situations where a debtor—either an individual or a business—has accumulated obligations so great that he or she is unable to pay them off. Bankruptcy law does not require filers to be financially insolvent at the time of the filing. Rather, it applies a criterion in which approval is granted if the filer is “unable to pay debts as they come due.” Once a company is granted bankruptcy protection, it can terminate contractual obligations with workers and clients, avoid litigation claims, and explore possible avenues for reorganization. Bankruptcy laws are designed to distribute the debtor’s assets as equitably as possible among his or her creditors. Most of the time, with some exceptions, bankruptcy also frees the debtor from further liability. Bankruptcy proceedings may be initiated either by the debtor—a voluntary process—or may be forced by creditors. The chapter of the bankruptcy code that sets forth the provisions relating to liquidation of a debtor’s assets. In a Chapter 7 filing, a trustee is appointed to collect and liquidate assets and distribute the proceeds to creditors in accordance with set priorities. This type of bankruptcy is the wage earners’ reorganization chapter. It allows a wage earner (individual debtor) to propose a plan to pay his/her creditors in full or in part. Chapter 13 differs from Chapter 11 in that a plan is proposed at the beginning of the case and establishes a repayment structure over a three to five year period of time consisting of the Debtor’s available income. This type of bankruptcy allows a business to reorganize and refinance to be able to prevent final insolvency. Often there is no trustee, but a “debtor in possession,” and considerable time to present a plan of reorganization. Sometimes this works, but often it is just a bottomless pit of more debt and delay. The final plan often requires creditors to take only a small percentage of the debts due (what is owed them) or to take payment over a long period of time. Chapter 13 is similar to Chapter 11, but is for individuals to work out payment schedules, which is more likely to be worthwhile. Upon adjudication (officially declared) as a bankrupt a party cannot file for bankruptcy again for seven years. Call us today for a free consultation regarding your legal bankruptcy concerns!